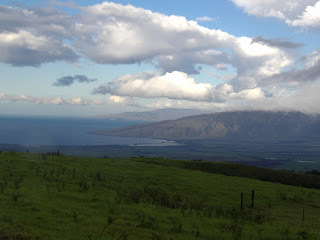 We had a fabulous time in Hawaii! 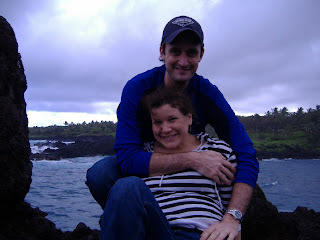 Jason and I enjoyed the time in Maui to relax and enjoy a break. The time in Oahu was much busier, but we loved hanging out with Jason's friend Pagnarith from Cambodia. This was his first trip to America, so it was fun to hear his perspective of things. Jason and Pagnarith's presentation was very well received at the conference, and they were even recognized by an internationally-known doctor who specializes in treating kids in resource-poor areas. 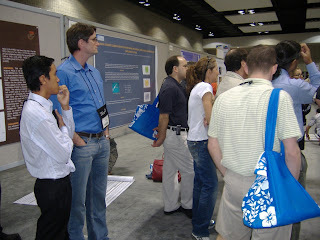 He thought the work in Cambodia was done so well, he offered to help Pagnarith and Jason publish some of their findings. It was a huge encouragement to Pagnarith, above all, because he lives and works in Cambodia every day. 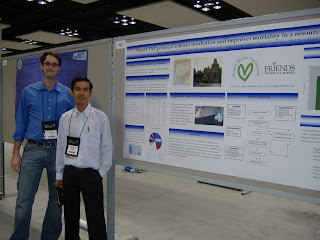 The battle with serious disease and poverty there is overwhelming at times, but it was awesome to see such a young Cambodian doctor be recognized for the difference he is making. He is a truly amazing person and we were grateful to share in his success at the conference. 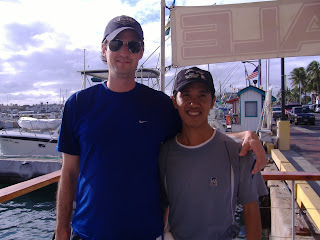 Jason and Pagnarith after parasailing in Honolulu. Too bad I couldn't get a close up of them on the parachute, but the speed boat didn't seem like the best place for a pregnant lady. Pagnarith and Jason listening to other presentations at the conference...looking very smart. "Our" poster displaying the research and findings. We label it "ours" because Pagnarith and Jason did the work and I designed the poster. What a team! 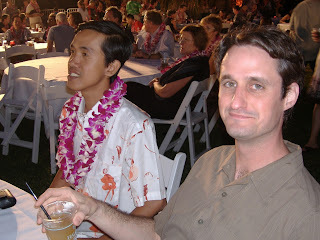 On the first night of the conference, there was a big welcome bash in Waikiki. 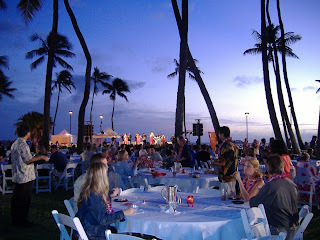 Basically, a big fancy party on the beach with tons of food and entertainment. Pagnarith said, "I've only seen this kind of fancy party on TV! I feel like a movie star." Frankly, Pagnarith, us too. =) We don't hang out at parties like that very often either. 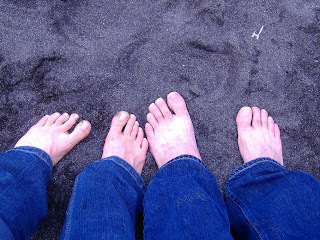 Mine and Jason's feet in the black sand on Maui. 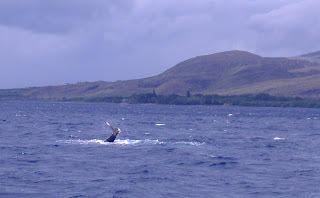 We went whale watching and saw lots of whales! They were so quick, but I happened to catch a tail in this picture. 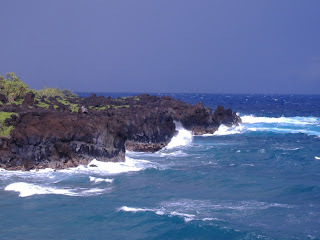 Self-portrait on the black cliffs of Maui. I love it when you blog. Shame on me, but during church today I was thinking all about your time in Hawaii and how I wished you would blog about it soon! (Good reason- the pastor was talking about medical work in Cambodia). I'm glad to hear the time went well. I hope you can venture out here some time soon! If not, I think Keri and I might be tempted to come check out your downtown pad!